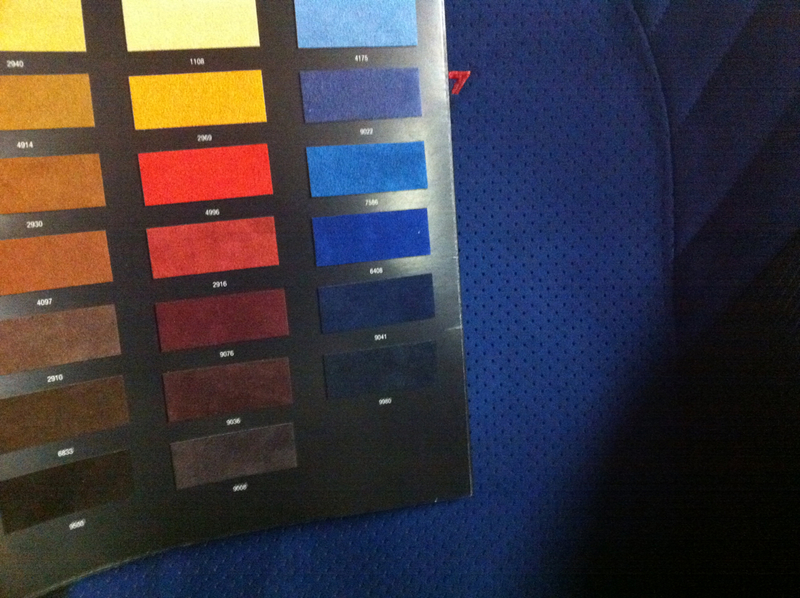 We have a few options for matching the blue Alcantara from the Subaru STi seats. Please keep in mind that it is extremely unlikely to ever get a 100% color match between a factory color and aftermarket suede, since the genuine material is already a few years old. 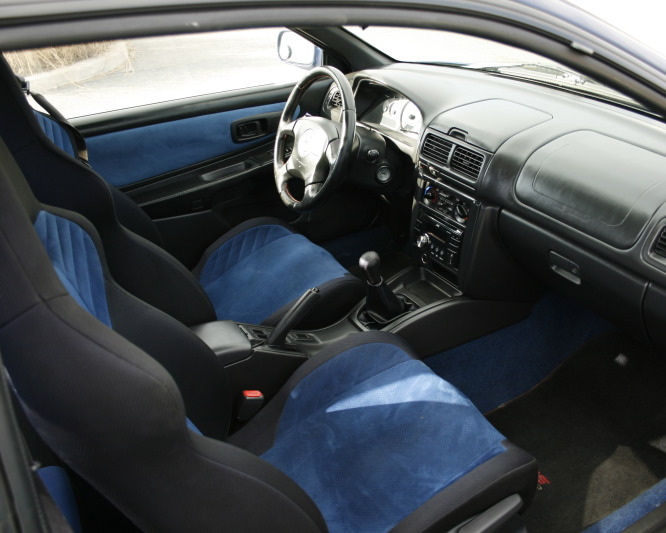 Although we believe our Nogaro blue Alcantara is the same exact material that came in STi seats, they were still made at different times, meaning it is a 98-99% match. 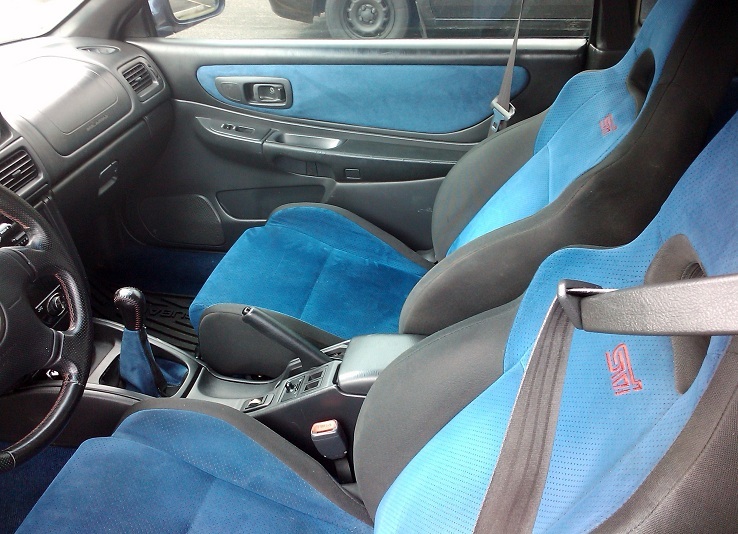 Also, we’ve noticed the JDM STi seats are a slightly different shade- about a 95% match to our Alcantara. If any quality competitor’s advertises “STi Blue Alcantara”, they are selling the same exact Alcantara blue that we have in stock, since it is the only STi blue option on the market. If you are very picky, please order samples! 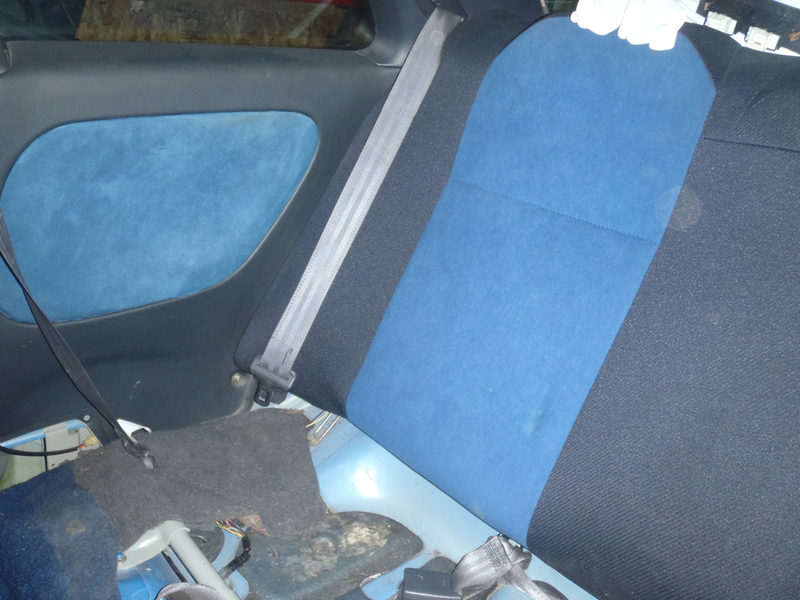 Differences: Both the Ultrasuede blue and the Alcantara blue are very close to the STi blue. 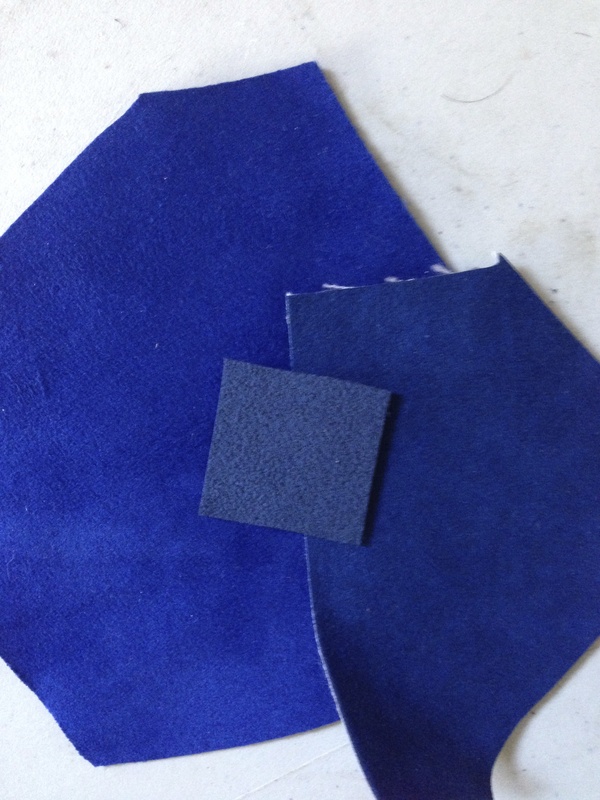 The Ultrasuede is less vibrant and is a softer shade of blue. It is also less expensive, but is a premium quality material. 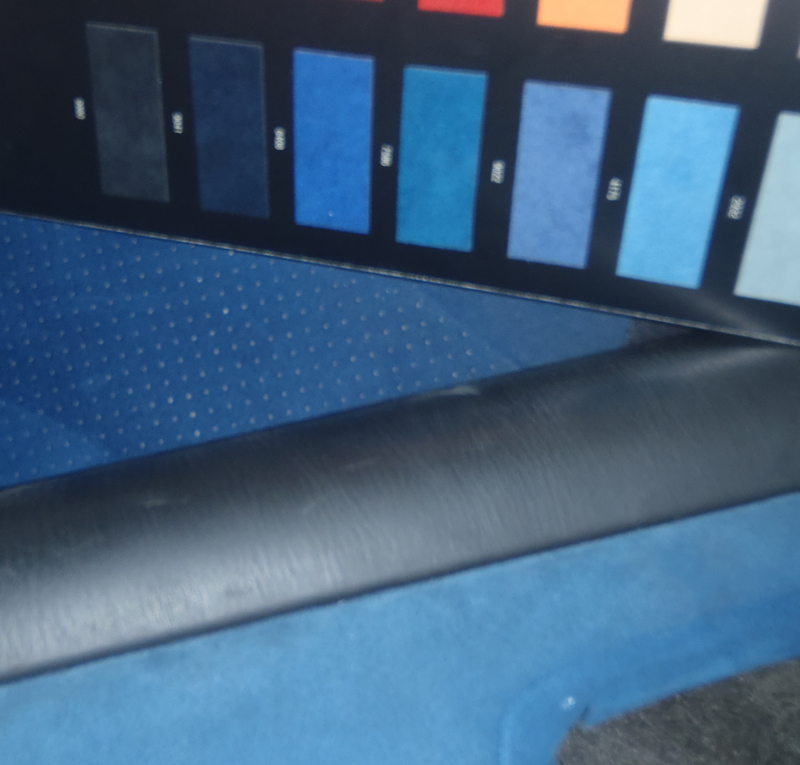 The Alcantara is a brighter shade than Ultrasuede, and the Alcantara is a very high quality material. 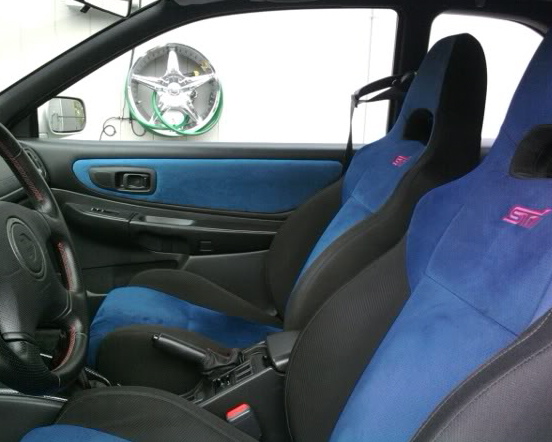 Above: Alcantara shown on the door panels, JDM STi seats.